We have quite a large patch of what I thought were freesias near the gate on the west of the property. 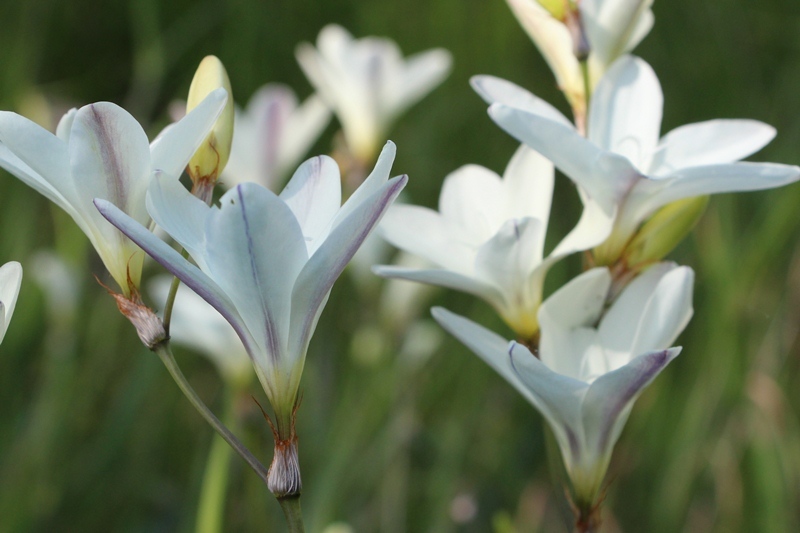 Freesias are classed as a significant weed in Western Australia and are difficult to eradicate as they produce seed, corms and bulbils. Last year I hand weeded all that I found on the property and there appeared to be fewer this year. I took these photos on the road reserve at the gate. Freesias used to be my favourite flower when I was in the UK because of their scent. These wild white ones don’t seem to have any smell, so I am less enthusiastic about them, but do put ones I pull up into a vase. As with many of our weed species they come from South Africa. And reading more about these for this post, I have just found out that they are not Freesias! I should have known as there was no smell, they are the Harlequin Flower (Sparaxis bulbifera) still a significant environmental weed introduced from South Africa. The subtle difference is in the flower. 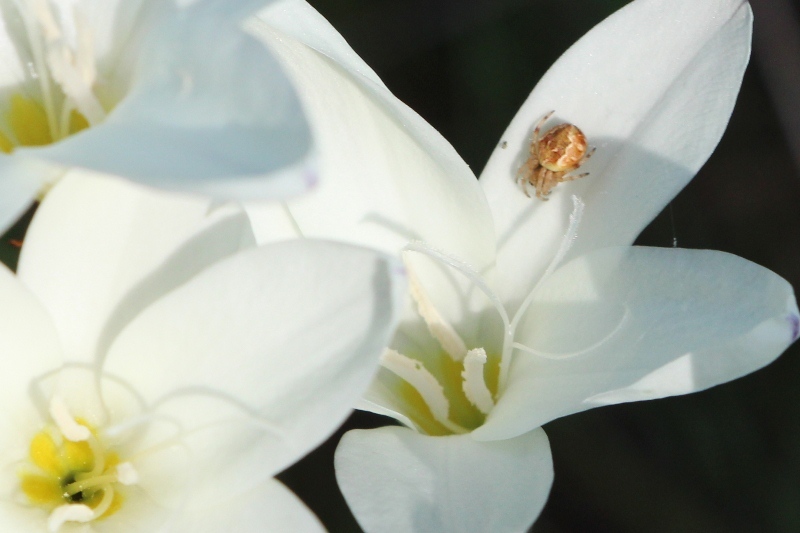 Freesia flowers are white with some purplish markings on the outside and six stigmas, Sparaxis flowers are white with some purplish markings on the outside, yellow centres, and only three stigmas.